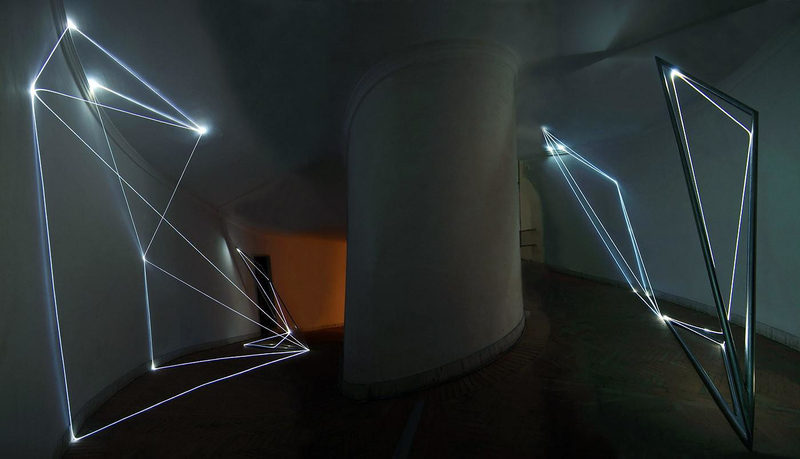 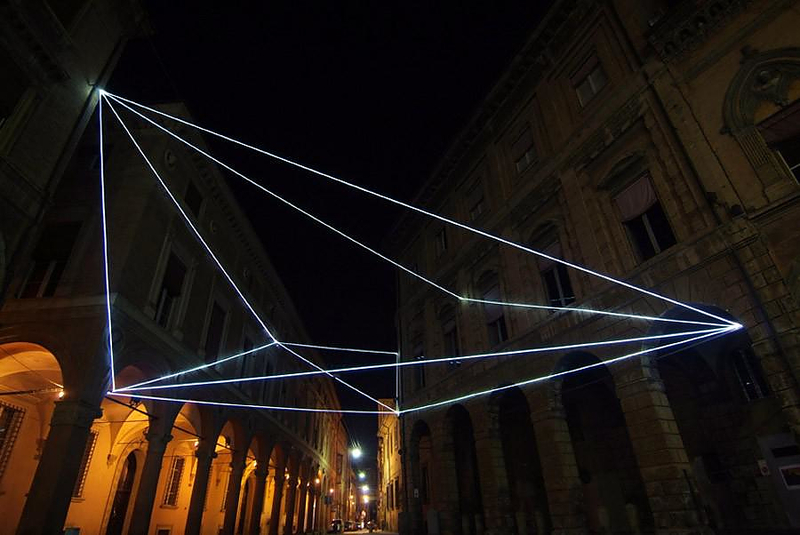 HomeBlogArtFiber Optics Art Installations by Carlo Bernardini. 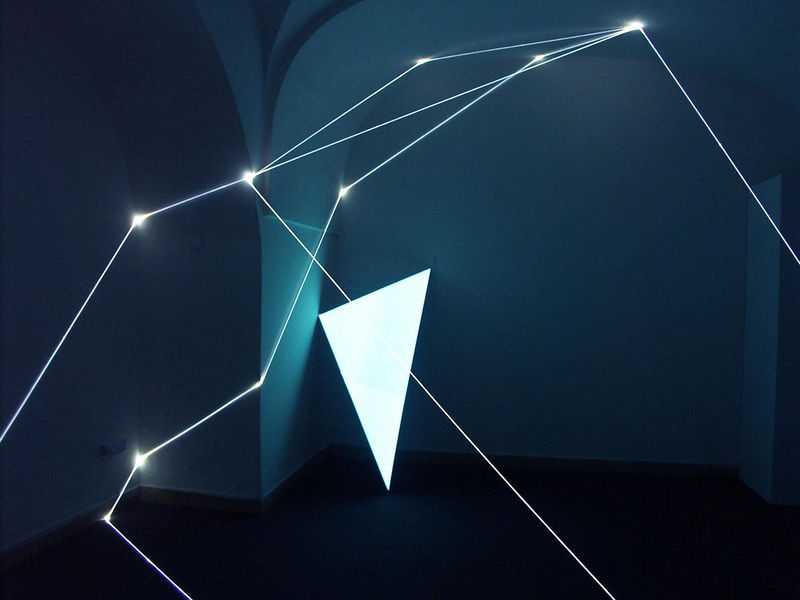 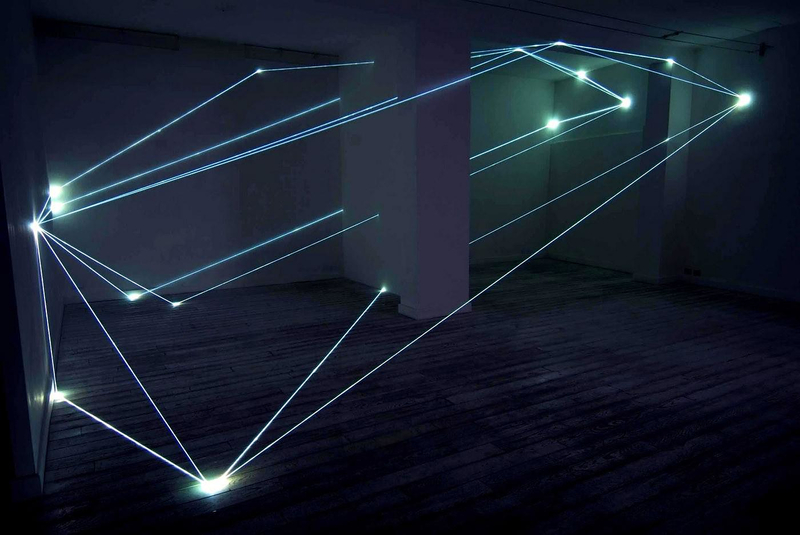 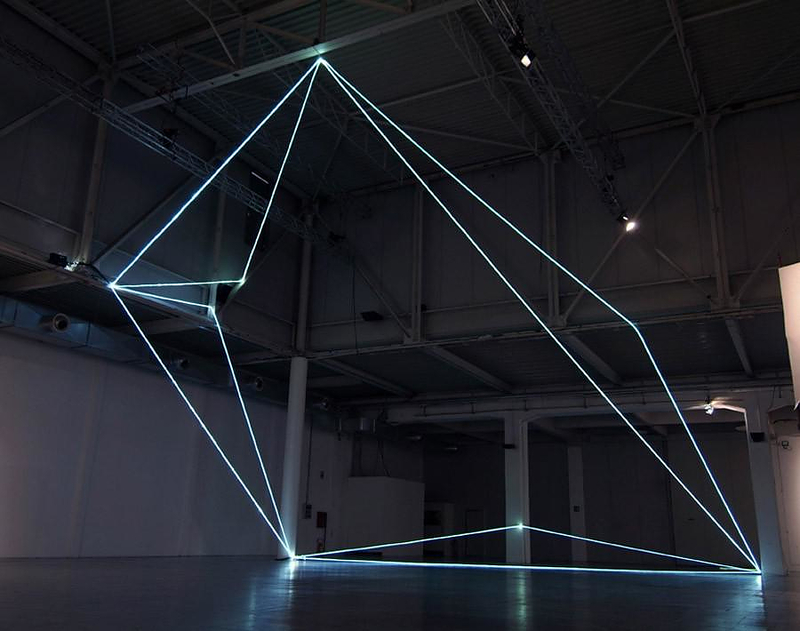 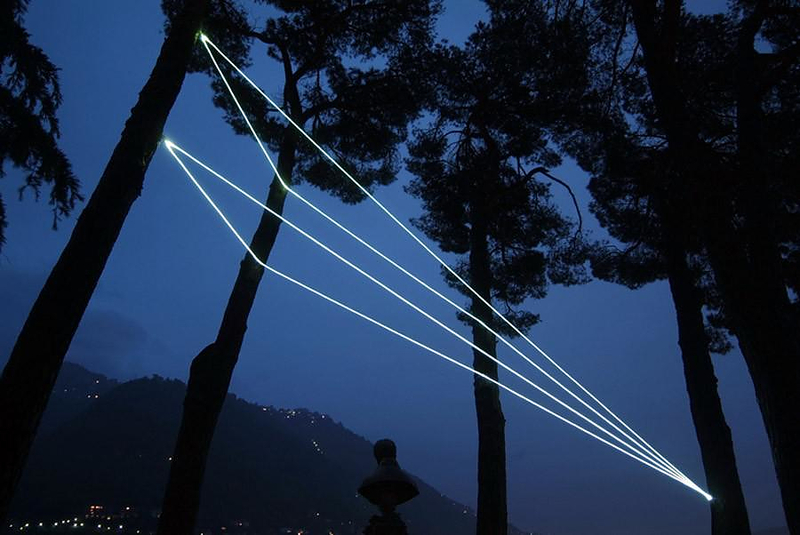 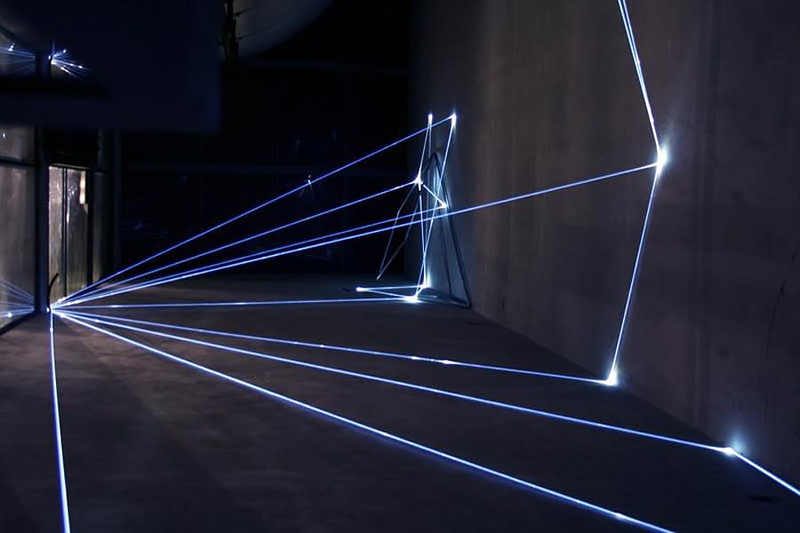 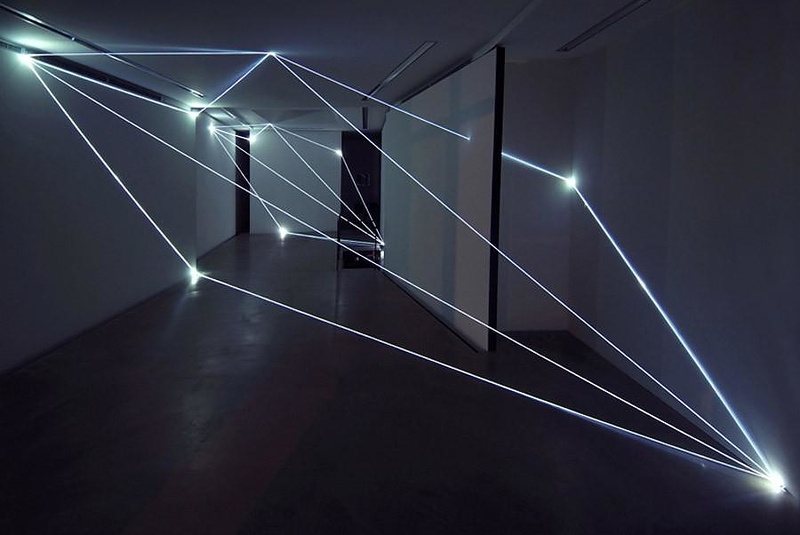 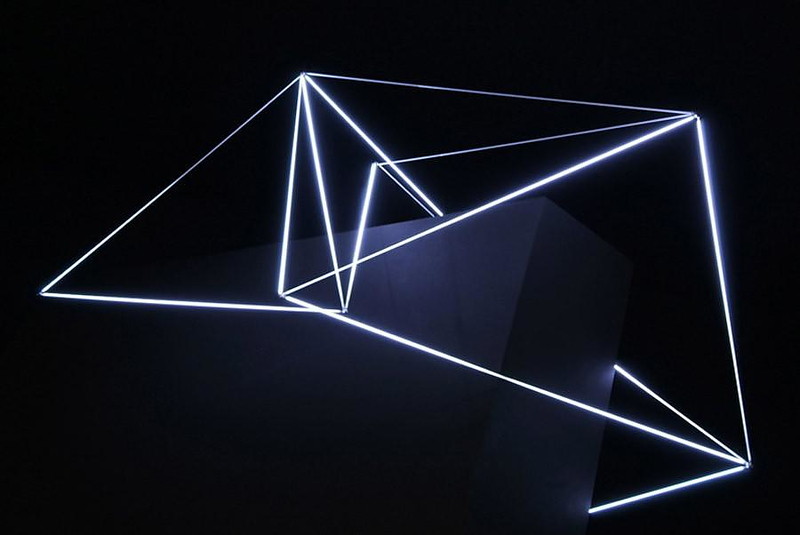 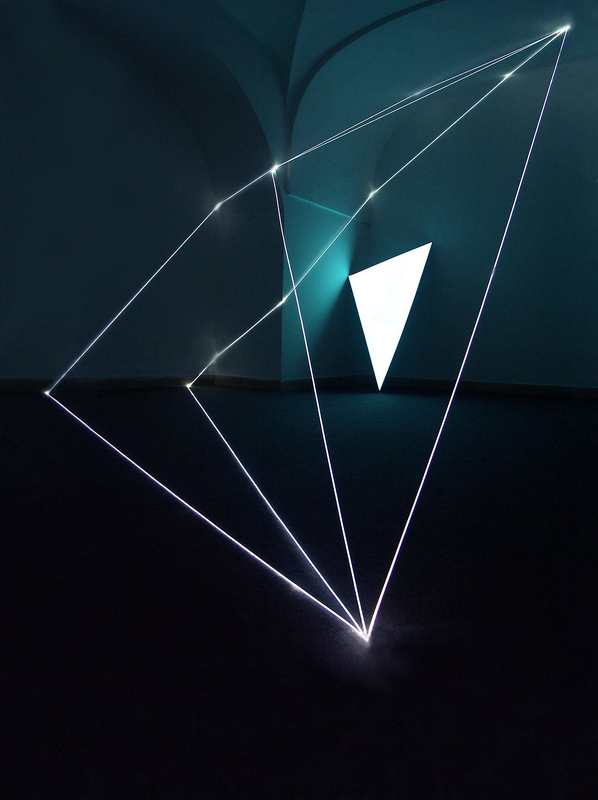 Italian artist Carlo Bernardini creates breath taking geometric light installations using fiber optics. 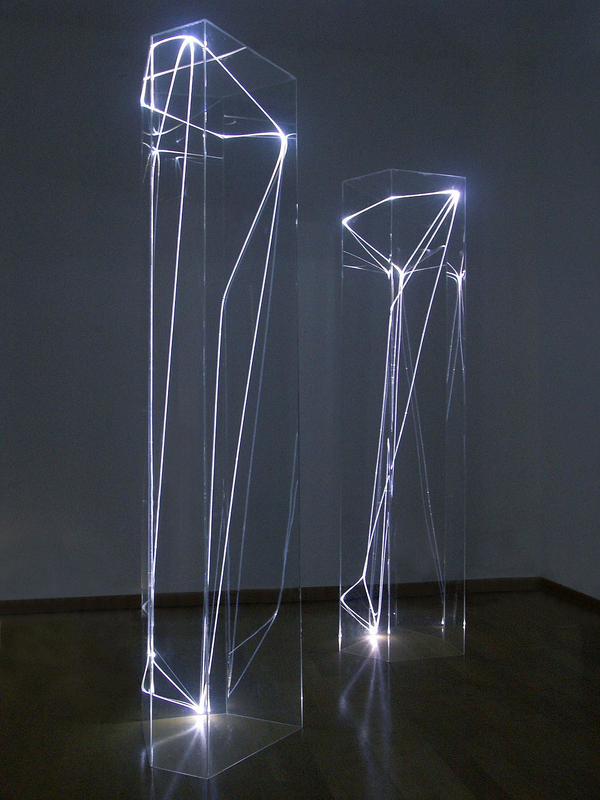 He has been using fiber optics as a medium of artistic creation since 1996, to transform dark spaces into abstract illuminated works of art. 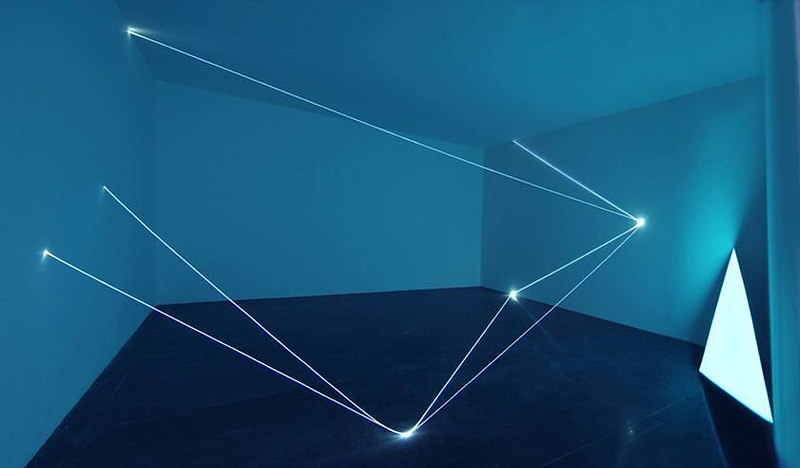 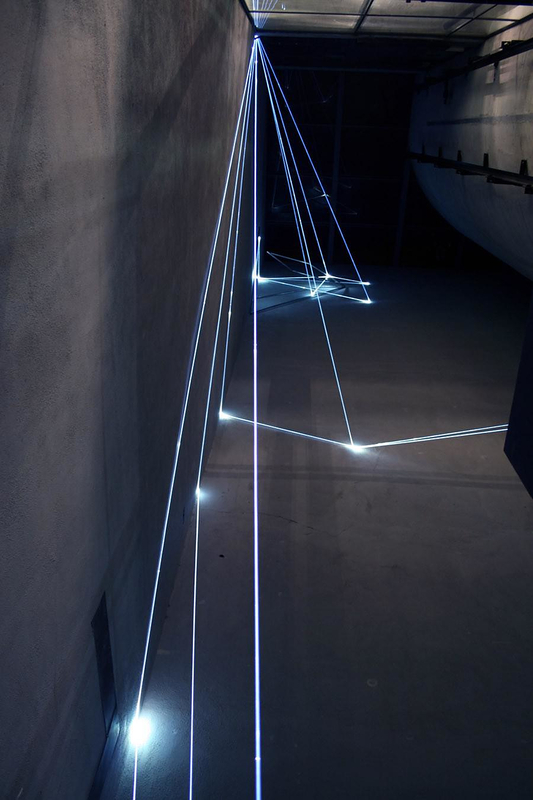 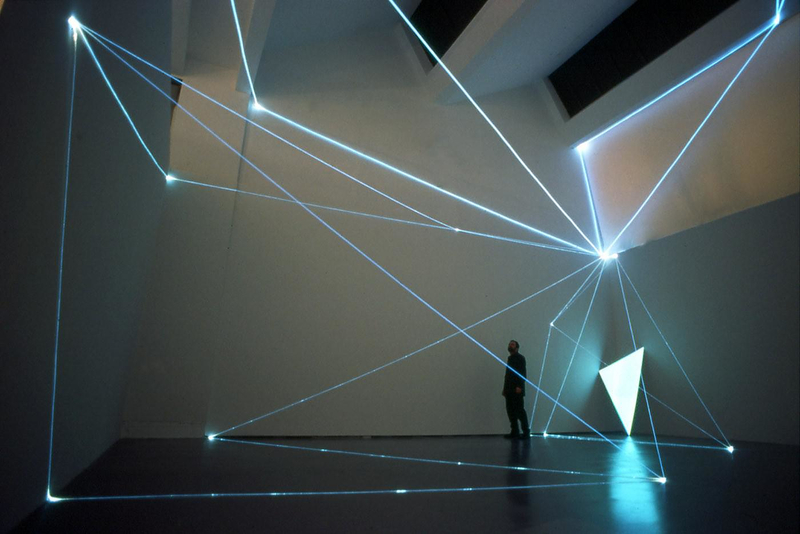 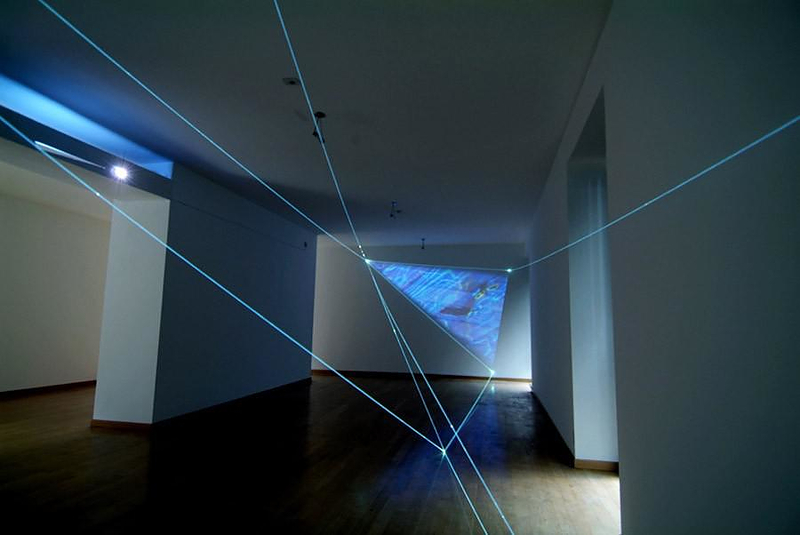 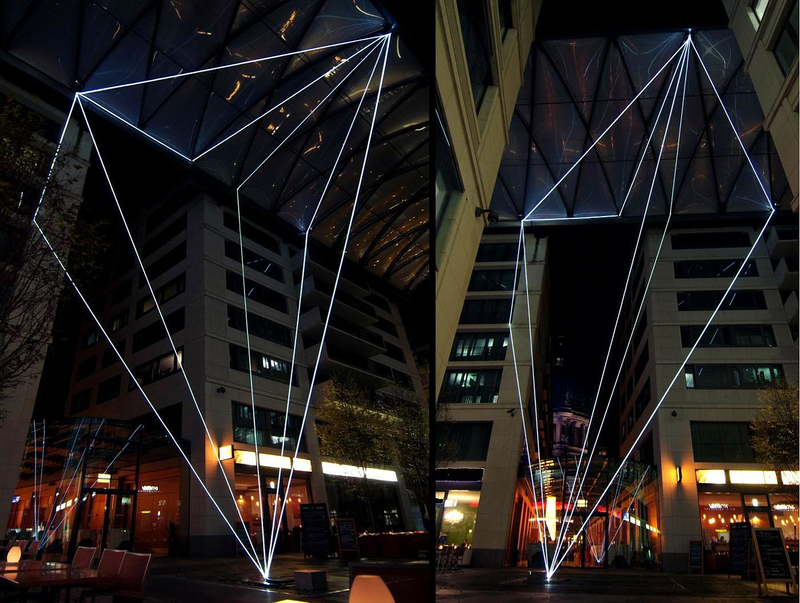 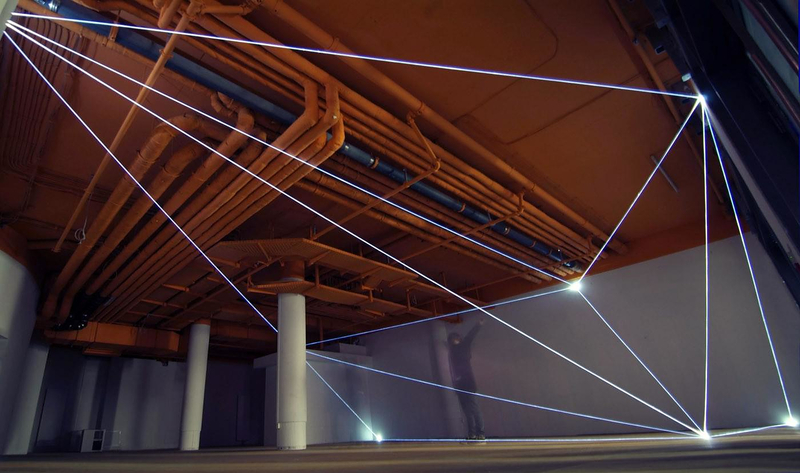 His site specific installations are based on geometric forms featuring lines of light which are passing through walls, floors and facades, or are seen floating between buildings. 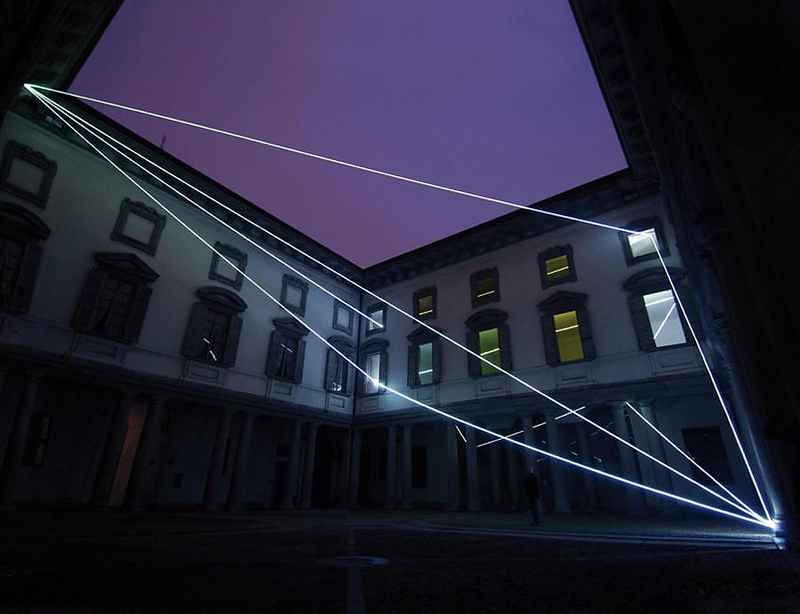 Carlo Bernardini’s innovative technique combines light with darkness and the tangible with the intangible. 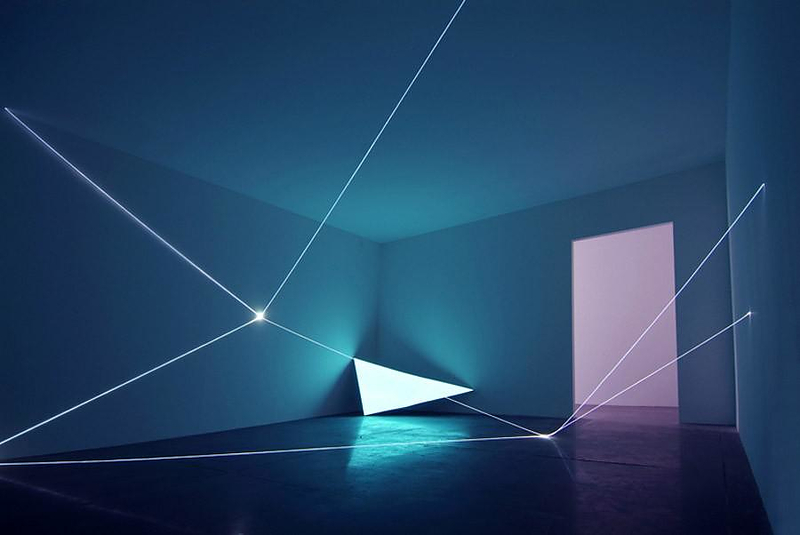 His creations are forming a unique relationship within the surrounding space, which redefines our perception of light and space. 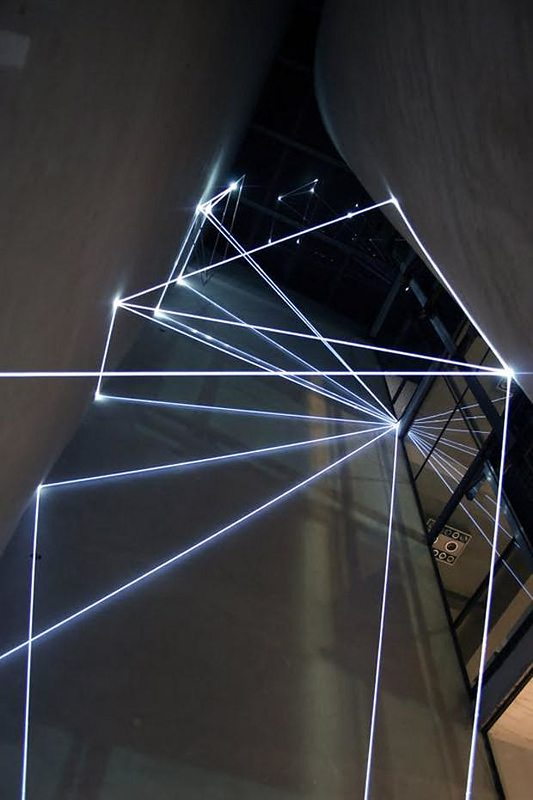 Each installation has its own precise viewpoint, from which it can be seen as a two-dimensional rhomboidal form. 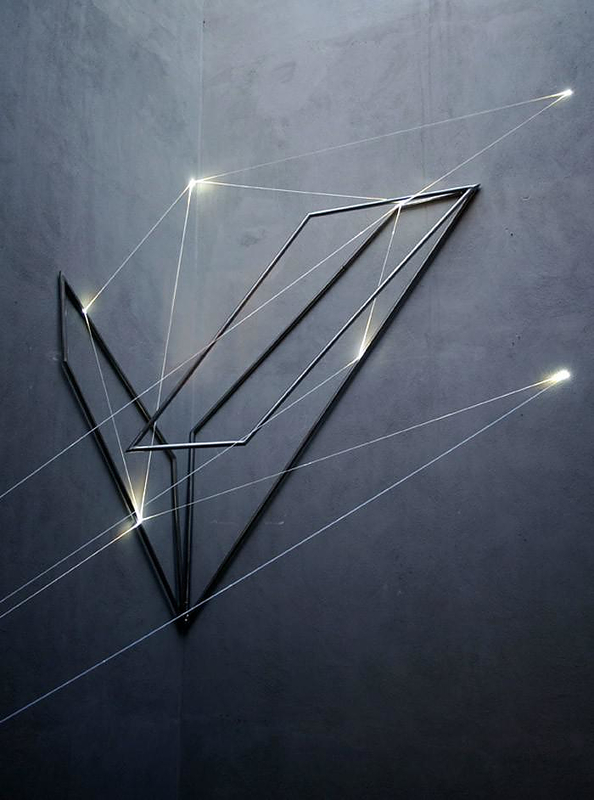 Carlo Bernardini also builds stunning sculptures (many of them in public places) which are a combination of a stainless steel framework and his signature illuminated lines. 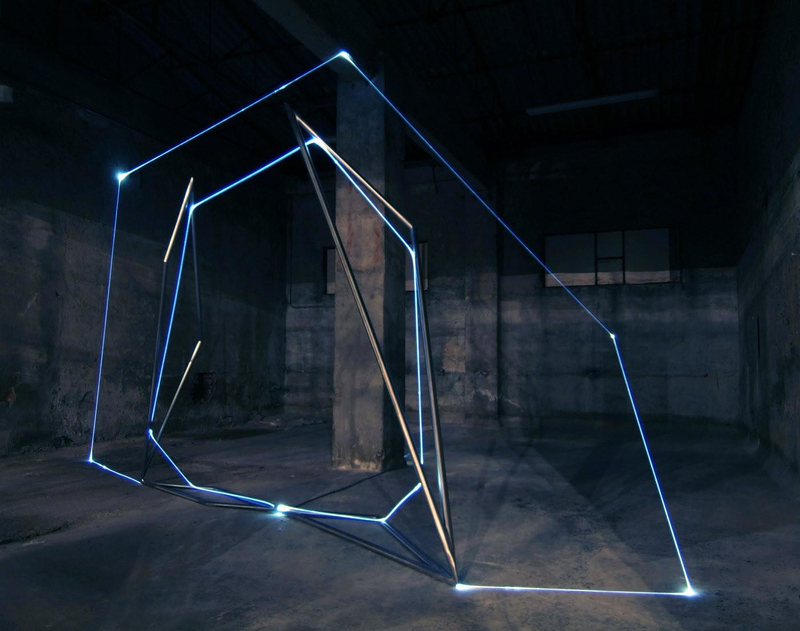 Denver's Big Blue Bear sculpture by Lawrence Argent.